On Monday, China’s legislature, the Standing Committee of the National People’s Congress (NPCSC), voted on and passed The NPCSC’s interpretation of the Basic Law Article 104 of the Hong Kong Special Administrative Region with unanimous support. It was the fifth Basic Law interpretation since the 1997 handover. 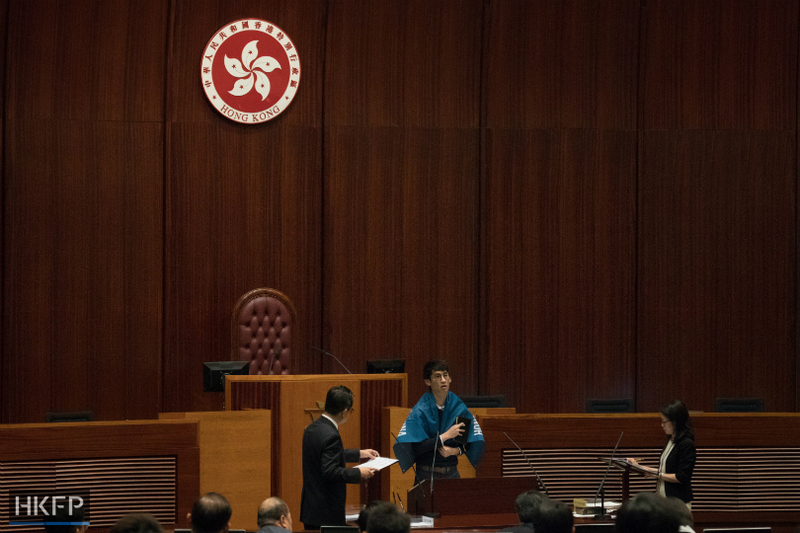 Youngspiration’s Baggio Leung at LegCo’s swearing-in session last month. Photo: Stanley Leung/HKFP. 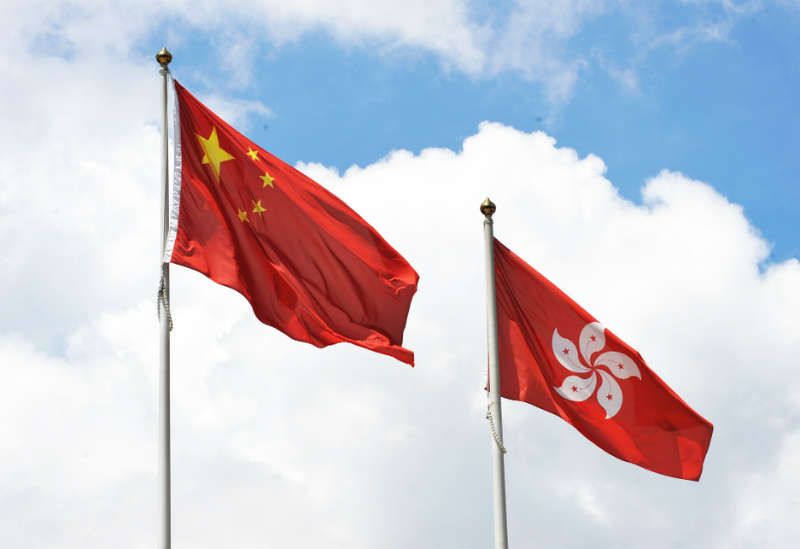 Article 104 of the Basic Law stipulates that lawmakers, members of the judiciary and public officers must, “in accordance with law,” swear allegiance to the Hong Kong SAR. Monday’s interpretation sought to define the term “in accordance with law,” which now means that oath-takers must “fulfil the statutory requirements in format and content” by “accurately, completely and solemnly” reading out phrases such as the full name of Hong Kong. Yau Wai-ching and Baggio Leung. Photo: Faceboook. Under Article 18 of the Basic Law, national laws are not applicable to Hong Kong, except for laws concerning defence, foreign affairs and matters outside the autonomy of Hong Kong. In addition, these laws can only be applied locally by amending Annex III of the Basic Law and then by way of promulgation or legislation. 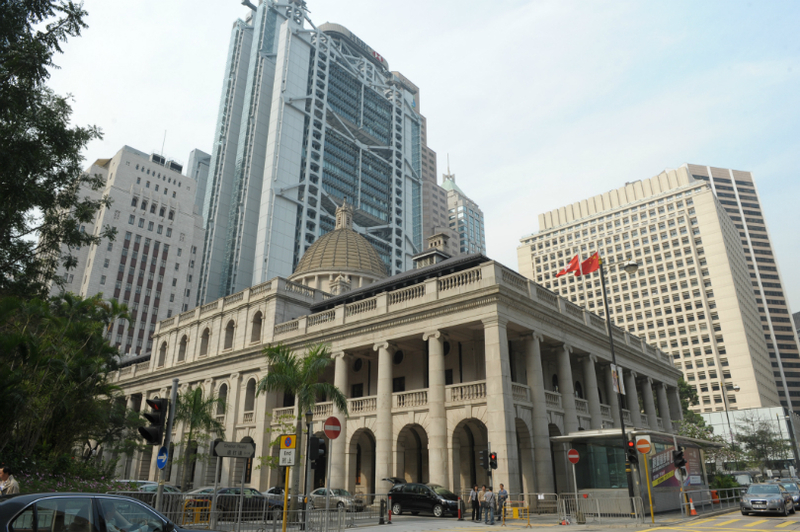 If the interpretation has an retroactive effect, it will also not be an interpretation but rather an adjudication of an issue that is being heard by Hong Kong’s court, Tai said. If this is the case, the interpretation would violate two articles of the Basic Law: Article 19, which grants Hong Kong independent judicial power and the power of final adjudication; and Article 80, which entitles Hong Kong’s courts to exercise the judicial power of the territory. The interpretation states that failing to take an oath “accurately, completely and solemnly” will cause a public officer to be disqualified from assuming their office. Tai said that Beijing’s ruling is effectively an amendment to the Basic Law, as Article 79 gives a list of seven conditions under which lawmakers may be disqualified, and non-compliance of oath-taking provisions is not one of them. “[An] eighth condition is in effect added,“ he said. Article 159 of the Basic Law sets out the procedure for amending the mini-constitution, but the procedure is an onerous one. It has never been invoked since the 1997 handover. Lawyer Kevin Yam of the Progressive Lawyers Group told HKFP that it is unclear what the vague wording of “legal responsibility” refers to although, at face value, criminal liability is an option. 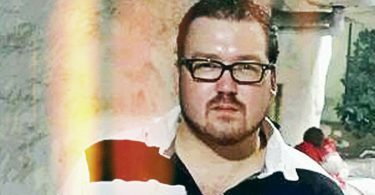 In addition, any legal responsibility would be stipulated by Hong Kong laws rather than the Basic Law. If that is the case, Section 32 of the Crimes Ordinance may be applicable, Yam said. The section stipulates that anyone who makes false statements on oath in a non-judicial context may be jailed for seven years. Section 36, which states that those who make false statutory declarations are liable to two years’ imprisonment, may also be used against lawmakers. But even if a lawmaker is sentenced to imprisonment for more than one month for a criminal offence, it would still require a two-thirds majority vote at the legislature before they can be disqualified as per Article 79 of the Basic Law. 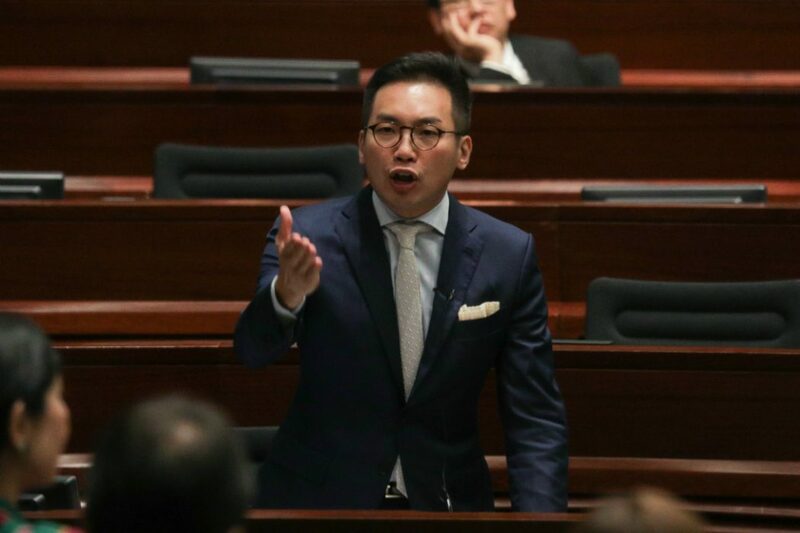 Yam’s analysis addressed the concern that more lawmakers may be at risk of losing office after Basic Law Committee Chair Li Fei said on Monday that advocates of Hong Kong independence and self-determination have contravened the Basic Law and thereby breached their oath. 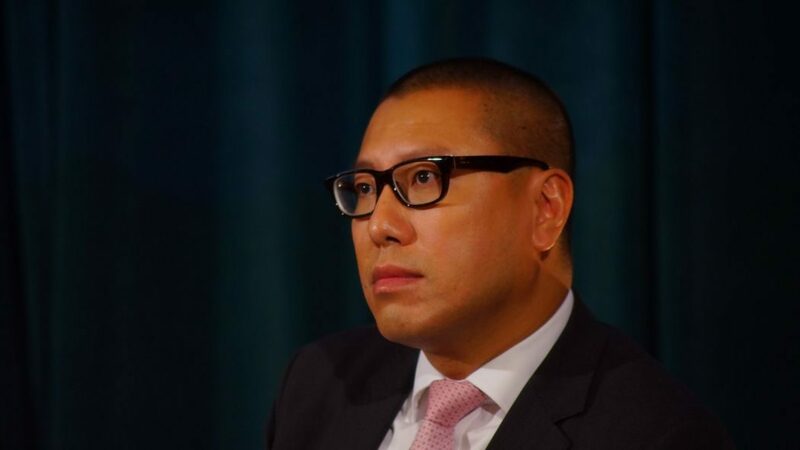 Nonetheless, Yam said, the issue of whether – and how – lawmakers who have been sworn-in may be disqualified is “up in the air” because there is nothing in the Basic Law apart from Article 104 that gives guidance on the issue. “It would also involve adding [new provisions] to Hong Kong laws, which [Beijing] has no power to do,” said Yam. “This interpretation has created more uncertainty and has actually damaged the rule of law by purporting to give [extra] authority to the NPCSC,” he said. 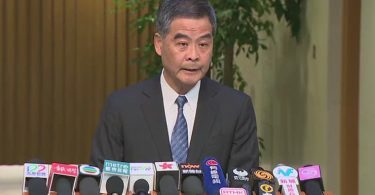 In response to Beijing’s definition of the term “in accordance with law” in Article 104, Yam said that Hong Kong’s courts previously held that the phrase refers to the prevailing laws in Hong Kong. In other words, it goes back to the issue of which local laws apply in the non-compliance of provisions related to oath-taking. “Beijing is really going in circles because they’re trying to make a statement when they have no power to do so,” said Yam. Hence, the implications of Beijing’s interpretation would depend on how Hong Kong’s courts handle it. Without commenting directly on the government’s judicial review against the Youngspiration lawmakers, Yam said that the court would likely seek to protect fundamental rights such as the rights to stand in elections and to free speech. Monday’s interpretation stated that the “oath administrator” has the duty to confirm that the oath-taking complies with Hong Kong law and the interpretation. Members of the Civic Party, many of whom are lawyers, criticised Beijing for expanding the power of the Legislative Council Secretary-General, an unelected civil servant tasked with the responsibility of administering oaths. It said that the interpretation also legitimised the controversial new Basic Law confirmation form that the Electoral Office recently added to the eligibility requirements of candidates who wished to stand in the Legislative Council election last month. 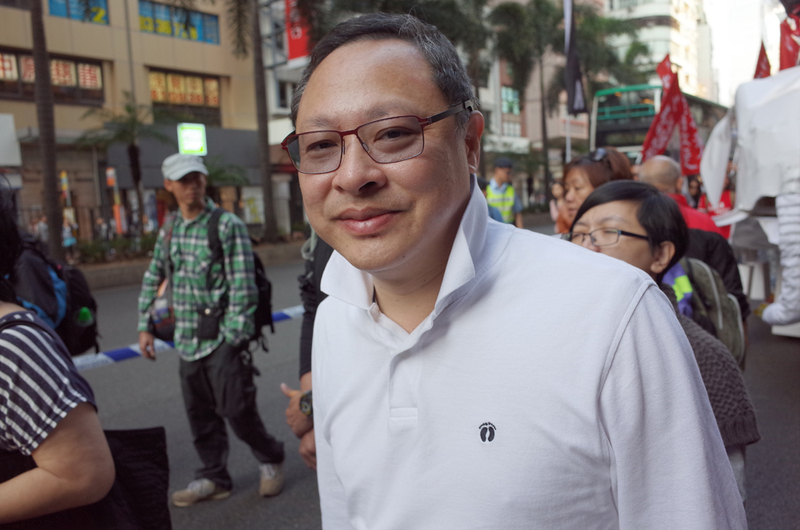 The Civic Party slammed the interpretation for violating provisions in the Basic Law that grant Hongkongers the rights to vote, to stand in elections and to freedom of speech. Tai, Yam and the Civic Party said that Beijing’s interpretation of the Basic Law has severely damaged Hong Kong’s rule of law. Calling the intervention while a lawsuit is pending a “terrible precedent,” Yam said the interpretation would have a profound impact as it sought to assert power to interpret the Basic Law “well beyond” what is allowed of Beijing.